The Damascus Stock Exchange traded shares worth over half a million SYP today for the first time. 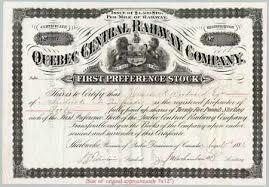 There were eight trades of 667 Shares valued at SYP 578,139 OR $12,500. 3 OF THE 4 companies traded rose by the limit of 2%. “It’s a baby that will grow,” said Abdullah Dardari…. Some analysts have even suggested that Syria’s economic challenges will force it to make such a deal. But interviews with Syrian officials here make clear they do not see it that way. Mr. Dardari and others say the American sanctions have had only a minor effect on Syria, which has little direct trade with the United States. Europe is far more significant, and Syria is eagerly pursuing a trade agreement with the European Union that is likely to be signed this year. Trade with Turkey — perhaps Syria’s closest ally — is also growing, to almost $2 billion in 2008 from less than $500 million in 2004. Syrian President Bashar al-Assad said Israeli policies encourage “resistance”, which only ensures that the day will come when Syria will free the Golan Heights “through peace or through war”. Syrian President Bashar al-Assad says all Israeli governments have pursued hawkish policies only to give rise to the philosophy of resistance. In an interview with the al-Sharq newspaper on Thursday, Assad said there is enough evidence to assume that Tel Aviv will never seek peace. Assad described how normal citizens have grown tired of the sixty years of Israeli efforts to grab more land and occupy other territories. “From the war of Palestine (in 1948) to the occupation of the Golan (in the Six Day War in 1967) people are becoming more hostile towards Israel. There may come a generation that is unwilling to talk peace,” he said. His remarks are considered a reaction to a Thursday announcement by Israel’s new foreign minister, Avigdor Lieberman — who ruled out the possibility of Israel withdrawing from the Golan Heights. “There is no cabinet resolution regarding negotiations with Syria, and we have already said that we will not agree to withdraw from the Golan Heights,” said Lieberman in an interview with Israeli daily Ha’aretz. “Whoever thinks that he will achieve something by way of concessions – no, he will only invite more pressure and more wars. If you want peace, prepare for war,” he added. Israel captured the Golan Heights following the 1967 Six-Day War and annexed the Syrian territory in 1981. Under the auspices of Turkey, Israel and Syria last May launched peace talks aimed at reaching a comprehensive peace agreement. Negotiations reached a stalemate in September after the resignation of former Israeli prime minister Ehud Olmert. Syria then withdrew from the talks in protest at the latest Israeli military operations in the Gaza Strip — in late December 2008 and January 2009 — where at least 1,330 Palestinians lost their lives to the three-week carnage. “When a citizen loses hope – he will turn to the path of resistance, in one from or the other,” Assad reacted to the new Israeli stance. “There is no escaping the fact that the day will come when we will free the Golan, through peace or through war,” he explained. In 1998, Lieberman called for the flooding of Egypt by bombing the Aswan Dam in retaliation for Egyptian support for Yasser Arafat. In 2001, as Minister of National Infrastructure, Lieberman proposed that the West Bank be divided into four cantons, with no central Palestinian government and no possibility for Palestinians to travel between the cantons. 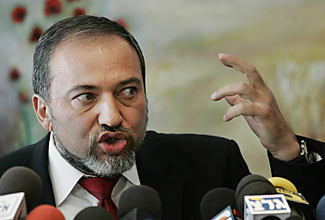 In 2003, the Israeli daily Haaretz reported that Lieberman called for thousands of Palestinian prisoners held by Israel to be drowned in the Dead Sea and offered to provide the buses to take them there. Also in May 2004, he said that 90 percent of Israel’s 1.2 million Palestinian citizens would “have to find a new Arab entity” in which to live beyond Israel’s borders. “They have no place here. They can take their bundles and get lost,” he said. Turkey and Armenia Pave Way for Historic Accords:Neighbors’ Bid to Open Border and Establish Ties Could Sideline Genocide Dispute, Improve Security for Fuel Pipeline to West. Turkey and Armenia could soon announce a deal aimed at reopening their border and restoring relations, according to diplomats, a move that could help stabilize a region that’s increasingly important as a transit route for oil and gas. The timing of the deal is being choreographed with the schedule of U.S. President Barack Obama, who visits Turkey next week, these people say. An international court in the Hague has asked Lebanon to hand over documents relating to the murder of the former Lebanese Prime Minister, Rafik Hariri. The UN-backed tribunal also asked for a list of all suspects Lebanon is holding in connection with the 2005 killings. The court has been set up to try those suspected of being behind the blast which killed Mr Hariri and 22 others. The court’s Canadian prosecutor, Daniel Bellemare, has until the end of April to ask the Lebanese authorities for suspects to be transferred to the Special Tribunal for Lebanon.He has said he would submit an indictment when satisfied that he had sufficient evidence. The requests bring the tribunal closer to asking Lebanon to hand over four of the suspects within weeks. The ruling, issued on Monday but only just made public, asked the Lebanese judicial authorities to “defer to the tribunal’s competence” in the Hariri case, the AFP news agency reported. It requested that Beirut “as soon as possible and at the latest within 14 days of receiving this order, refer to the prosecutor the results of the investigation and a copy of the court’s records regarding the Hariri case”. Mr Hariri’s allies have accused Syria of involvement in his death, a charge Damascus denies. The commander of the Iraqi air force Anwar Ahmad, currently in Washington, said Iraq wants to buy a squadron of F16 fighter aircrafts of the type C/D Block 50/52, currently being assembled for Poland, Israel, Greece and Pakistan. Subject to Parliament’s approval, Iraq would like to eventually buy as many as 96 jets, and to have the first two jets flown by Iraqi pilots by 2012. General Ahmad said that the jets are required to face the probable dangers from Iran in addition to dangers from Syria which has become “a gateway to terrorists” who seek to undermine the government of prime minister Nouri al-Maliki. Thank you for posting the past comments of the current Israeli FM. They are very troubling. Fortunately it is mostly hot air and bluster. Once again, I commend you on your “objectivity” and “balance”. Something tells the peace studies professor Joshua Landis is far more interested in highlighting American and Israeli transgressions than crticizing the dictatorship in Syria. He reminds me of David Lesch. Cut Professor Josh some slack. Co-Directing “Peace Studies” is a tough job (especially in the case of Syria). As the Obama administration prepares to resume diplomatic engagement with Damascus, Seif’s plight is a poignant reminder of the abysmal state of human rights in Syria. During the George W. Bush era, the White House devoted at least rhetorical importance to the cause: Bush publicly mentioned Seif at least three times. It would be a mistake for Obama to sweep human rights under the rug. Imagine that, the “fascist” FM is actually a closet peace proponent. Yes, all “Israeli” officials are peace proponents, especially when they peacefully kill and massacre Palestinian and Lebanese civilians. The “convicted murderer” Samir Kuntar was convicted by an illegal, illegitimate occupation court that concocted a propaganda tale in order to demonize Kuntar and the Resistance. Welcome to Syria Comment, where Samir Kuntar is defended, Israel is put in quotes, and the “scholar” host refrains from criticizing the Baathist dictatorship. I went to your blog. I noticed that you use the word “our” a few times to refer to Syria. I’m sorry to be the one to have to tell you this, but Syrians are not able to read your blog. All blogspot sites are blocked in Syria. The baathist dictatorship’s control over the media also prevents people from using youtube and facebook, among other sites. On the other hand, I noticed that for you Syria includes: Syria, Palestine, Jordan, Iraq, Kuwait, and Cyprus (a lot of non-Arabs for baathis state). Apparently you not only don’t recognize Israel’s independence, but you also don’t recognize the independence of Syria, Palestine, Jordan, Iraq, Kuwait, and Cyprus as well. This may be common in Syria. In any case, in those countries blogspot pages are accessible. This is because Syria is by far the most repressive state among those countries. So, in this case, the use of the word “our” might not be erroneous. As it is only the Syrians from the state that is commonly called Syria who cannot view blogspot pages, those other “Syrian” such as those living in Tel Aviv, can view your site. However, they might not know that you including them when you refer to Syria and use the word our. In the end, don’t expect too much traffic on your site from people in Damascus. Canadians, perhaps. “Peace is Down” ? What Peace? “palestinian” “refugees” … ( !!!@!!! )… !!! Syria will give “peace” .. and some arrangements concerning water issues. With “peace” like this I prefer war. First of all, I don’t confine my terminology to that defined to us by western colonialists, so your words are basically meaningless to me. The Syrians are those people of the region that has been called by some “The Fertile Crescent.” We are all Syrians, and the artificial entities created by France and England on our land will never negate this reality. Second, I believe in the true independence of all those entities you mentioned because I believe that independence, along with freedom and sovereignty, does not mean isolation and division, but rather means the true ability of a nation to act freely and independently in service of its own interests. This is not the case today in any of the entities you mentioned, which is why none are truly independent. Third, whether or not blogspot sites are accessible in the Syrian Arab Republic is the least of my concerns. There are many things that the regime of the Syrian Arab Republic does which I completely oppose, and I have criticized and attacked their entire system on more than one occasion. I frankly believe that the whole system needs a complete overhaul and that Baathist rule in Syria has been tremendously destructive. However, I am not willing to cozy up to those who work for our destruction for the sake of spiting the Baathists. Nor am I willing to work to destabilize Syria for the sake of removing the Baathists from power without regard for what comes after. In any case, many of our people on the ground are working to improve conditions and bring real change to the Syrian Arab Republic. And there have been many changes that are palpable to many of us Syrians but which people like you don’t know and don’t care about. Finally, I will always put “Israel” in quotes because I will never recognize the so-called “right” to establish an exclusively Jewish state on our land. And the fairy tale fabricated by illegal, illegitimate occupation forces against Samir Quntar is not something I am willing to continue to spread in service of the usurping entity, and I know this troubles you greatly. However, there are people like you on SC who go out of their way to defend “Israeli” massacres and rationalize “Israeli” crimes against civilians. So to make such a statement about SC is academically dishonest to say the least. أثارت انحناءة الرئيس الأمريكي باراك أوباما للعاهل السعودي الملك عبد الله بن عبد العزيز عند لقاءه به على هامش قمة العشرين بلندن ضجة صحفية واسعة الجمعة 3-4-2009 في الصحف الأوربية، والتي تساءلت عن أسرار هذه الانحناءة غير التقليدية والتي لم يقم بها أوباما مع أي شخصية أخرى قابلها على هامش القمة بما في ذلك ملكة بريطانيا. وفيما بدت الانحناءة محاولة بريئة من الرئيس الأمريكي لإظهار احترامه وتقديره للملك عبد الله في لقائهم الأول، كما هو واضح من الفيديو الذي تم بثه على يوتيوب وشاهده مئات الآلاف من الناس، إلا أن عشرات الصحف الأوروبية والأمريكية وغيرها قامت بتحليل ما حصل من زوايا متعددة. وشن المحافظون اليمينيون في الولايات المتحدة حملة إعلامية على الرئيس أوباما بسبب طريقة التحية التي قدمها أوباما للملك عبد الله بن عبد العزيز، وقال أحدهم على قناة تلفزيونية محلية بولاية نورث داكوتا الأمريكية: “لا مانع من إظهار الاحترام ولكنك لا تتصرف وكأنك الأقل مستوى، الرئيس بوش لم يكن ليفعل ذلك”. وقال معلق آخر بأن العرب يفهمون الانحناء بأنه استسلام وخضوع لمن ينحنى له، وهم الآن يفهمون ما فعله الرئيس أوباما بهذا الشكل. وقال آخر بأن هذا الأمر زيادة في التودد للعرب الذين كان يتودد لهم الرئيس بوش بأقل من ذلك وكنا نعترض على هذا التودد الذي لم يزد عن إمساكه بيد الملك. من جهة أخرى، دافعت خبيرة في الإتيكيت عن الرئيس أوباما قائلة في تصريح لجريدة “سيدني هيرالد مورنينج” الأسترالية: “الانحناء هي علامة احترام ولا تدل على أن الرئيس أوباما يعطي تعظيما للملك يجعله في مستوى أقل منه. لقد زرت السعودية من قبل ولبست العباءة وتصرفت بما تستدعيه التقاليد، وأنا أحيي الرئيس أوباما على هذه اللفتة المميزة”. وهاجم إعلامي آخر المحافظين قائلا بأنهم يحاولون التقاط أي صغيرة أو كبيرة للهجوم على أوباما الذي حقق شعبية واسعة في أوروبا بسبب أريحيته وحرصه على بناء الصلات مع الجميع. There’s a saying in Arabic that says: Why do they take the donkey to the wedding? To make him carry things. That’s what Abdallah’s role is. Or you actually believe that Abdallah is truly admired and sought after at the G20 summit because of his vast knowledge in international economics? Noam Sheizaf, who works for Maariv, has translated portions of the interview of Ben Zion Netanyahu (PM’s father) in his blog Promised Land. The prime minister’s office tried to prevent this interview from being published. Lucky they did not succeed. Q: You don’t like the Arabs, to say the least. A: “The bible finds no worse image than this of the man from the desert. And why? Because he has no respect for any law. Because in the desert he can do as he pleases. Q: Is there any hope of peace? Q: So what’s the solution? NOUR is still day dreaming about Cyprus being part of Syria for over a century. She thinks she can comment on those who are regarded by all the world as key world leaders. You love donkeys so muc, don’t you?. Is that why you’re keen on getting Cyprus. Cypriot donkeys are the best, aren’t they?. As if you don’t have enough where you are!!! Where was your greater Syria (Cyprus inc.) during the 400 years of Ottoman empire? Why didn’t you try to establish it then ? You wasted 400 years for nothing. If Nour can erase Israel from her map and widen Syria to include Cyprus and Iraq, then I can do the same. There are few things I love more than camping on the beach in Baja California, Mexico. So, I’m going to erase the border between where I’m from, California, and absorb Baja California into the U.S. Abracadabra… Done. Let’s call if Greater California. Now I hope the U.S. border patrol are notified of my decision and will cease their illegal activity. I am critical of the rule in Syria, but when I go to syria,I never felt that Syria but a free country,and I felt completely safe,,on the other hand,Israel, killed Gaza people,and have more than six thousand palastinian prisoner in jail,acused falsely. This is to show that Syria is not most repressive country, as some zionists try to say, but it is Israel who is the most repressive. Allof palastine,from the sea to the river is part of greater Syria. Why didn’t you try to create your “Greater Israel” during the thousands of years that “Israel” never existed? It seems you wasted all those thousands of years. I’m not widening or narrowing Syria. Syria is a historical and sociological fact. That the western colonialists wanted to impose a new status quo on us is of no concern to me. I merely advocate for what is in the best interst of my people and I couldn’t care less what westerners believe Syria should look like. I know you believe that we “backwards” people should always sumbit to western demands and succumb to their wishes, which is why you have no problem with westerners creating new maps for the region, but I hate to break it to you that history neither began nor will end with western hegemony. Our national unity is an inevitable occurrence, irrespective of how much that bothers you. Thank you for the info above , They confirm that peace with Israel is going to be very difficult to reach. I think the Arab nation is composed of the people who live in the Arab land from mountains between Iraq and Iran to the Atlantic ocean and the Mountains between Syria and Turkey and the Syrian Sea (( Mediterranean )) sea and the African Sahara ,, all people in that land deserve to be equal with same obligations and preveliges. Before we decide on whether Syria is a nation or whether the Arab World as a whole constitutes a nation we have to define what a nation is based on clear sociological and scientific standards. I don’t have time in this post to go over the entire process of nation formation, but to summarize, Saadeh, in his book “The Genesis of Nations”, defined a nation as a group of people on a particular geographic territory which, as a result of interaction and intermixing between each other as well as interaction with the land on which they live, and through a process of evolution, develops characteristics that differentiate it from other groups. The basis of nation formation according to Saadeh, therefore, is continuous interaction on a well-defined geographic territory. As we can clearly see, the Syrian homeland, called “the Fertile Crescent” by some, is in fact such a geographic territory, and historically, all groups that have lived on this territory have continuously engaged in interaction that has produced a single socio-economic life-cycle across the homeland. The general Arab World, however, does not constitute a distinct and well-defined geographic territory, as it is a long and meandered area stretching across two continents which only shares a common language and religion due to the Arab conquests that reached all areas of this region. It is not a contiguous territory that allowed for natural interaction between the peoples that lived in its different locations, and thus has never constituted a single life-cycle across it. However, we do recognize that all people in the Arab World do share a common history, certain common cultural characteristics, and certain common interests. Therefore, the SSNP has made it part of its aim the endeavor to create an Arab Front that would act as a barrier against foreign threats that target the region as a whole. If this leads to the creation of a single political entity across the Arab World eventually, we have no problem with that, as long as we understand that we are a distinct nation and that such an undertaking serves the interest of our nation. However, expending much of the nation’s energy into what Saadeh termed “illusory Arabism,” which is the idea that there is a single Arab nation from the ocean to the gulf, is a tremendous waste with no return. This is because the reality is that a member of the Fulani tribe in Mauritania does not have any national links to the Syrian from Damascus. (even greater) existed under the Hashmonite kingdom. and probably not the last.! Syria, on the other hand, never was. Hmmm…sorry, it was. from it’s own culture and history, is Israel. before the first Muslim was born in the dusty wastelands of Arabia. Who are the SSNP’s? And how many do they count? few hundreds??? Who is Saadeh? And who is his mentor? Adolf Hitler??? That’s a real ‘honor’ to quote him!!! Civilzed people are grateful to whoever condemned him to death. Unfortunately for him he didn’t live up to the same standards as his mentor and burnt himself. Probably the tribe of Mauritania do not have enough contact with people of Syria , That could be because of lack of transportation , but i still think that they have more feeling for the people of Syria than the the people in Pakistan , we can say the same thing about the people of wacko / Texas and the people from New Hamsher, They are different but they are still part of the American nation , about the stretch of the land , Alaska and Hawaii are far from the mainland , They are still part of the American nation , and Nour , Islam came from Arabia not the Arabs , Islam spread in many parts of the world , like Turkey , Pakistan , Iran , India and Indonesia and others , they do not speak Arabic and they do not consider themselves Arabs while most people who live in the Arab world as i defined do and the is a major difference. We do not see New Englanders calling for their own nation. قال حاكم مصرف سورية المركزي أديب ميالة في حديث صحفي أن المصرف يستعد لطباعة وطرح أوراق نقدية جديدة بكافة فئاتها بشكل جديد حيث ستحمل على وجهها الخلفي “حضارة وتاريخ سورية وعلى الوجه الأمامي التطور والانفتاح”. and probably not the last. Hmmmmm Kingdom of Israel (David and Salomon) lasted from c. 1050 BCE until c. 930 BCE = 120 years. Hmmm Hasmonean Kingdom of Israel (140–37 BCE) was actually mostly under Roman rule. Only 25 years after Maccabbee Revolt (167 BCE) there was Jewish independence. Not a very convincing achievement Amir in Tel Aviv, a couple of hundred years of independence during 3000 years. You must have had terrible foreign “ministers” also in the past millenniums. The kingdoms you mentioned existed for a couple hundred years total within a history of the region that spans almost 10,000 years. And they always existed as alien entities in continuous war against the indigenous inhabitants of the land. Moreover, they encompassed a very small area and never stretched anywhere near the whole of present-day Palestine. Regardless of the origin of the name “Syria”, which, contrary to your inaccurate contention, was not given by the Romans, the people of this land always formed a single socio-economic unity. The name Syria was later derived from Assyria, but it is really a side issue to the main idea, which is that the people of this region form a single nation, and have done so for thousands of years. The name of France, for example, was derived from the Franks, who were one of the later groups to enter the French composite and were of Germanic origin. In addition, the Syrian nation reached its highest political maturity under the Syrian Seleucid State, which encompassed all of Natural Syria, including Cyprus. As for the names of our landmarks they were all given by our people and preceded the Jewish bible by thousands of years. In fact, everything in the Jewish bible was taken from us. Your very language is based on Aramaic. Our people have been on this land for thousands of years and they will continue to be there for thousands more. However, the days of your artificial, unnatural state of “Israel” are numbered just as they were for your previous Jewish states on our land. There is no archeological corroboration for the existence of the unified kingdom of David and Solomon, it is likely a myth that was created around the time of the second temple (around 500BC), when Jews returned to Palestine from Babylon and Persia, to establish a Persian client state. The myth was invented to create a rallying sense of national pride and in order to claim more land in the fertile north of the country for their new kingdom. Jewish identity and the bible were created in Persia by the exiled Judean elite and the historiography was recruited to paint a glorious Jewish past. In practice, all archeological findings show that Judea and Israel were never united and moreover before the Babylonian exile they were indistinguishable culturally from the rest of the Canaanite cultures in the region. Anyway Amir, let’s assume for a second that this kingdom existed and was jolly awesome, what kind of inheritance do you purport to have received from it and based on what science or political theory? It seems to me that the only thing we have inherited straight from our imagined ancestors is the ability to lay preferential claim to the land, as you do here. Then to what do we have claim, if anything? What, in fact, are the requirements for “having a claim”? Can there be such a thing as “preferential claim”, and what determines it? It’s great that you felt free the last time you were in Syria. Perhaps after a longer stay you will get to know people better and once they feel comfortable with you they will tell you a little bit about what the dictatorship is like. When I was living in Syria, friends of mine told me about their experiences in prison, the gory details of what the security agencies did to them. More important than my anecdotes though, are the numerous reports by Human Rights Watch, Amnesty International and Freedom House that detail at length what the regime in Damascus is doing its own people. Syria is the most repressive state in the region. Your comparison of Israel to Syria plays right in the hands of the dictator. He doesn’t want you to criticize his policies, so it is convenient for him to distract you with stories of Gaza. As long as you are outraged at what is going on in Gaza you will have little opportunity to be outraged at the dictatorship. There is great coverage of regional events in Syria. Israel and the Palestinian territories are on the front pages of Damascus newspapers every day. Of course, what is happening in Gaza has little to do with the level of political liberty in Syria, which is zero. I know your Syria (which includes Iraq and Cyrus) is a fact, in the same way that Greater California is fact. While these Greater Syria aspiration are anthropologically interesting. All of this talk can be quite dangerous, after all border disputes are a major cause of war. Is there a country in the Middle East that doesn’t have a border dispute with at least one of its neighbors? A Harvard Phd and a former professor at the University of Chicago has published a book called, “Greater Syria: The History of an Ambition.” Parts of it can be read via google. There is no archeological corroboration for the existence of the unified kingdom of David and Solomon, it is likely a myth that was created around the time of the second temple (around 500BC), when Jews returned to Palestine from Babylon and Persia, to establish a Persian client state. The only things necessary to have a unique nation or “people” is a common language or culture, and the will of the people for independence. There are no requirements to making a claim. Any individual or group can make claims. The question is who is the audience for the claim and how convincing the claim sounds to that audience. So when you ask what kind of claim “we” can raise, we need to determine what “we” we’re talking about and whom we’re trying to convince with our claims. I suppose “we” could be “the Jews” or “people who live in Israel” or “Jews who live in Israel” or maybe “people who were born in Israel and their immediate relatives” etc. For example some people say that the land of Israel belongs to Jews and Jews only, because god said so, and that would be extremely convincing to millions of Christian evangelicals and religious Jews. However the audience of greatest importance is the “international community” i.e., the intelligentsia in Europe and North America. To this audience, arguments involving a supernatural god preferring a certain group of people seem, unfortunately, quite infantile. Another claim that “the Jews” can have to Israel is that we are the biological descendents of the original inhabitants of this land and through personal biological lineages we have inherited the same tracts of land that our biological ancestors owned, but this is also quite weak because we can’t prove it really, for a good reason that it’s probably not true. And even if it were true, it doesn’t say much because it would mean all sorts of funny things such as the Germanic people having a similar claim to India, Turks to Mongolia, Gypsies to Rajasthan etc..
Another claim that we “the Jews” can have to Israel is that the land features prominently in our collective culture and psyche. This, as a fact, is obviously true, but it’s not clear what kind of right it gives us over the land. Historically the crusaders were motivated by similar feelings and so are evangelicals today, yet somehow our longings are “genuine” while they are “nut cases”. Finally another claim that we “the Jews” can make is that, bluntly, we are so annoying as a minority, that the world is better off creating a special country for us so they don’t have to see us every day. This was the main thrust behind the European support for the Zionist project. However, it doesn’t sound too convincing anymore… at least not in public discourse where Jews are ostensibly welcome again in Europe, as equals, although I’m sure many Europeans support Israel for this exact reason, so that we don’t “pollute” their countries any more. But regardless how attractive this argument is or was to Europeans it is nothing less than infuriating to the Arabs who were selected to receive us on their lands without their cooperation. So to summarize so far I fail to see a convincing argument for Western intelligentsia on why “the Jews have a claim to Israel”. Now we can move to define “we” as Jews from Arab countries and we can say that there was population transfer were “we” were kicked out of the Arab countries and the Palestinians were kicked out of Israel and into those same Arab countries. We have exchanged our respective rights in the process. Thus “we” (==Arab Jews) have a right to live in this land and to self determination and it is our will as the righteous owners of the land to let others Jews in and keep others out. Not very egalitarian policy the one “we” have selected, but it’s our business and it doesn’t come at the expense of others, as the others have gotten “our” former rights in Arab counties for their relinquishing of rights in Israel. This may be just a little bit convincing, had it been an honest portrayal of reality but, as you know, both the Palestinians and the Arab Jews were peons in this game and not the ones setting policy. The Ashkenazi Jews did not come to Israel by invitation from the Arab Jews but the other way around. I think that the way to look at the situation in a manner that will make sense to wide audiences is to relate the Zionist experience to other colonialist experiences that, over the years, have reached a state of relative acceptance by all strata of the society, both native and descendents of settlers, e.g., the USA. We need to define “we” as “current and recently dispossessed residents of the land” and let this “we” share the country equitably. By the way, most Israelis I spoke to over the last few days don’t make any historic claim to the land. They simply note that they control it and they wish the situation to stay this way, regardless of any sense of “right” or “justice”. The mask of pseudo-intellectual reasoning has been dropped. Now it’s just a struggle to maintain a particular lifestyle and quality of life which could well be threatened if we hit the RESET button on the definition of a new “we” I have outlined above. Many of the people I talked to do not fear sharing the land with Arabs per-se, they are afraid that their country will become lawless or a corrupt dictatorship if they let go of the reins. The behavior of many of the Arab residents in the North of Israel can be characterized as “personal mini Intifadas” where they break the law routinely with theft, reckless driving, littering and sabotaging public facilities. This behavior may have originally came from a need to protest and avenge against the Zionist but it has been destructive to the cause of co-existence and since now the Jews that once believed in co-existence (many people I talked to) are now just tired of Arabs and want to be as separate from them as possible. The Jews of the world do not have a shared culture or language more than the Catholics of the world do. Nothing precludes the Catholics though from deciding tomorrow that they are actually a nation, that they need to conquer the Middle East and revive Latin as a spoken language and start celebrating a few new holidays marking the liberation of the Middle East from the hands of the Muslim infidels. The “first temple” is the temple that reportedly existed in Jerusalem before the Babilonian exile, in the domain of the Judean kingdom, that did exist, but was never unified with the Israeli kingdom, which was destructed centuries earlier by the Assyrians. Also it is likely that the sacrifices that were raised there were not all dedicated to YHWH but to a wider pantheon of Canaanite gods. I also don’t think most Israelis are ready for a “Reset” of the new “we”. But I do think that most here still have some kind of innate feeling of having a “right” to this land, that goes beyond simply having won it though battle, or even via God’s promise to the Jews. It’s as if most do not see another option (i.e. that we do not have a legitimate “sole claim” to this land) as even a part of the set of options.